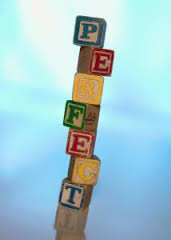 stylos: The Vision (2.6.14): The Bible does not teach "perfectionism"
The Vision (2.6.14): The Bible does not teach "perfectionism"
How do we prove that no saint ever attained perfection in this life? 1 John 1:8 If we say that we have no sin, we deceive ourselves, and the truth is not in us. 9 If we confess our sins, he is faithful and just to forgive us our sins, and to cleanse us from all unrighteousness. 10 If we say that we have not sinned, we make him a liar, and his word is not in us. 3. Because the Scriptures hath recorded the sins of the most holy persons that have ever lived. Abraham and Isaac dissimulated by saying that their wives were their sisters. Jacob deceived his father to take the blessing from his brother Esau. Joseph swore by the life of Pharaoh (Gen 42:15). Moses spoke unadvisedly (Psalm 106:33). David committed adultery and murder. Job and Jeremiah were impatient. Peter three times denied and cursed Jesus. Paul and Barnabas quarreled (Acts 15). When is a church a cult?